ALL TUTORS ARE QUALIFIED TO TEACH AND DBS (CITB) CHECKED WITH ALL ACADEMIC REFERENCES. 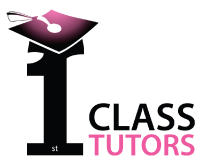 At 1st Class we offer English courses for children of all ages. We focus on the pupil’s areas of concern and / or what your child needs. We can be a supplement to their normal schooling or a condensed period of tuition to aid with the passing of exams including GCSE and A level. Whatever your requirements our flexibility and commitment to excellence will ensure your child is given the best opportunity to succeed. Whether it is at primary school, GCSE or A level we can design specifically to suit the individual pupil and help them achieve their personal goal.